The other week we came across an initiative called “community hacking”. We were curious – what does community hacking mean? The project, based in Wester Hailes in Edinburgh, involves people in rethinking the representation of their neighbourhood. ‘Community hacking’ explores what might be understood as activist practices within communities. These may be personal, social, organised or more ad hoc. 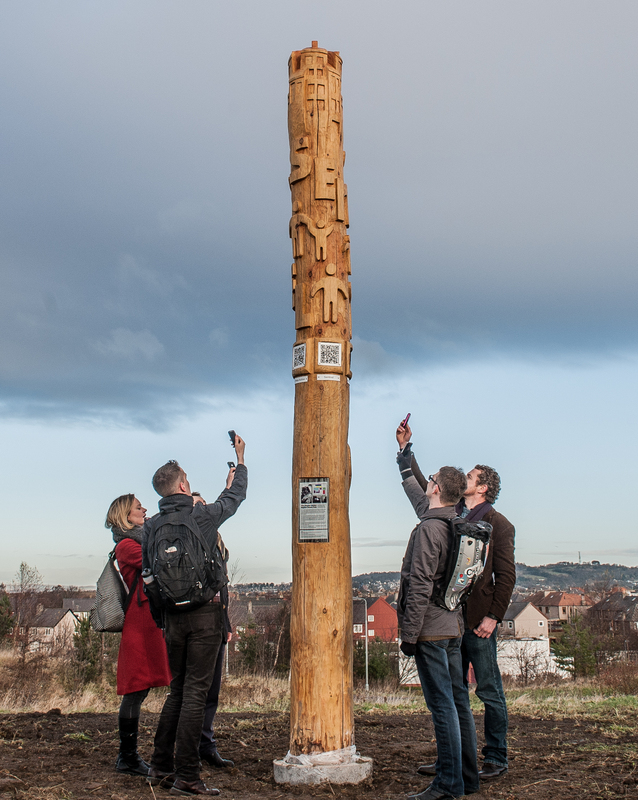 The area we have been working in, Wester Hailes, has been misrepresented in local and national press for years and we were keen to find a way for the community to “hack” or rewrite this negative image. The community partners, residents and the academic team realised that images of the ‘good times’, when the community worked together to grow local infrastructure in the 1970s, had been ignored. The huge amount of community work included the creation of children’s playgrounds, the famous Huts, a multitude of societies, clubs and events, and the local Sentinel Newspaper that recorded much of the activities. The photographic archive of the Sentinel became the resource to remind a now older generation of how active they had been in the past to help their own community. By digging out and distributing the images of the ‘70s and ‘80s, a renewed interest in civic engagement and rekindling the events took place. The Hailes Matters blog was a vital part of this and the Facebook page allowed people to comment on the past as well as share new activities. 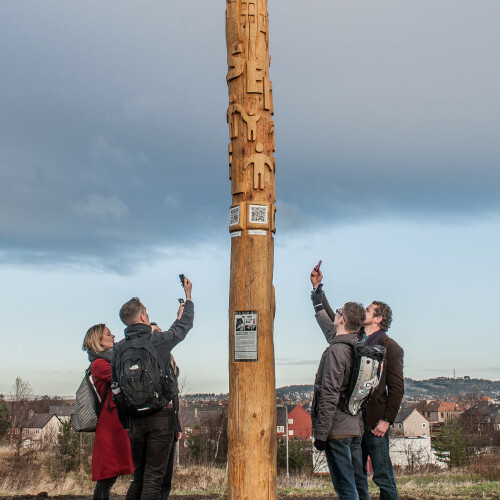 As the online and virtual activity grew, the community wanted a physical symbol of this positive activism so we co-funded the design, production and installation of a totem pole which made a genuine sense of impact in the community. The community decided that the most obvious way forward was to recover the Sentinel but as an online community newspaper. So with a little more funding the teams developed the Digital Sentinel which is run by local volunteers. Now an active part of the community’s identity, the local journalists promote events, critique initiatives and provide a running narrative for the area. The Facebook page keeps running and the interplay of old and new activities keeps a spirit alive that Wester Hailes is a vibrant but complex part of Edinburgh. To be honest the term “hacking” is probably rarely used – the project began with an academic theory but in the end is wide and complex for all of its stakeholders. For me the idea that we continue to help a community “hack” the image of the area that is portrayed in local and national press is a form of hacking. But for many others I doubt if the term describes the practices or shares the same vocabulary. But this doesn’t matter – we all have ways to explain the contribution to the community from a conceptual perspective to a more social. Through the project I learned an enormous amount about the role that a design academic can play in contributing to existing motivations toward making things happen. I’m proud to have helped unlock monies that can support existing aspirations and contribute to the platforms and objects that we have made together. I have learnt that support comes in unexpected forms and money is far from the answer to develop value, and that people who can see where value can be nurtured are incredibly important in making a difference to communities. ‘Community Hacking’ is a collaboration between the University of Edinburgh, the University of Leicester and Brunel University – with funding from the AHRC ‘Connected Communities’ programme.